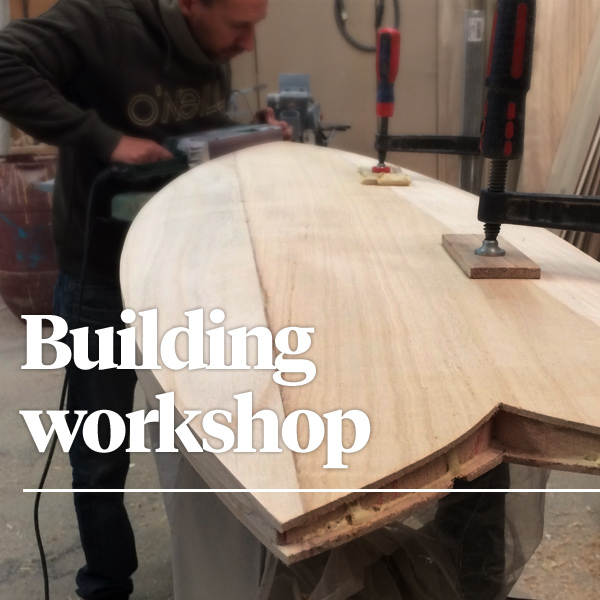 In this workshop you will learn everything you need to know to craft high performance surfboards with the most environmentally friendly construction method. You will learn about natural materials (basically paulownia wood, bamboo and cork), the vacuum bagging gluing method, woodworking techniques, shaping and hydrodynamics, and also many tricks we will share with you throughout the process. We want you to make the most out of your visit to Barcelona, so we’ve organized the workshop in various stages. The FlamaEvolve method involves a lot of gluing and waiting, but you’ll only do the most important steps —couple hours in the morning and a couple more in the afternoon—. We’ll do the monotonous work while you visit Barcelona or just relax by the beach, so when you come the board will be ready to tackle the next step of the process. Day 1: shaping / gluing rail bands. At the end of the course you’ll have the board ready to be decorated and varnished, which is an easy and pleasant job that you can do at home with the varnish that we will provide you. We can do it in the shop though, but you will need three extra days. 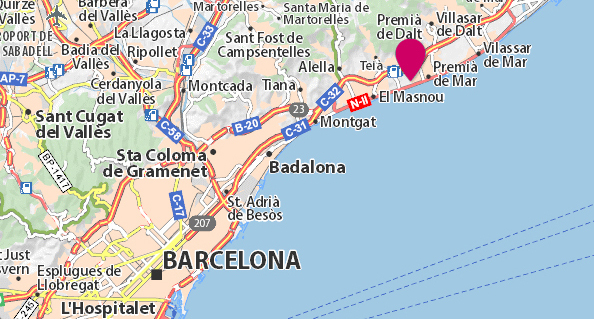 The workshop is located only 10′ walk from Premià de Mar train station, so it’s possible to stay in Barcelona and come over to the shop every day. But there are also a nice little cottage for rent by the shop, and a Youth Hostel, a camping ground and hotels and B&B in El Masnou and in Premià de Mar, which are little sea towns much quieter than the busy Barcelona. We’ll help you out to find the perfect option for you. Prices include all the materials, leash plug, pressure vent, tools, varnish and everything is needed to make your board. Prices do not include acommodation and fins. All boards are made with paulownia skins and cork rails, although you can choose a cork decked board (better flex and softer feel) with no extra charge. These are totally personalized workshops so we’ll find out the dates according to your needs and our availability. First you will have to pick the board model you want to craft, or if you preffer we can help choose the board that will fit best to your needs. Then we’ll order your EPS blank so it’s ready for when you come. Just contact us and feel free to ask any questions and doubts.